The Square In Summer is a painting by Margaret Merry which was uploaded on July 25th, 2016. 35.000 x 25.000 x 1.000 cm. 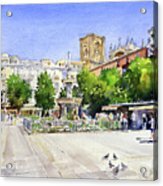 Plaza Bib Rambla, Granada, Spain. 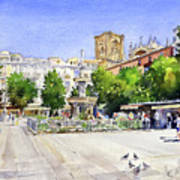 I have painted this lovely square in the centre of Granada several times. At the heart of the �Christian� part of the city it is surrounded by beautiful 19th Century buildings and overlooked by the great Cathedral nearby. 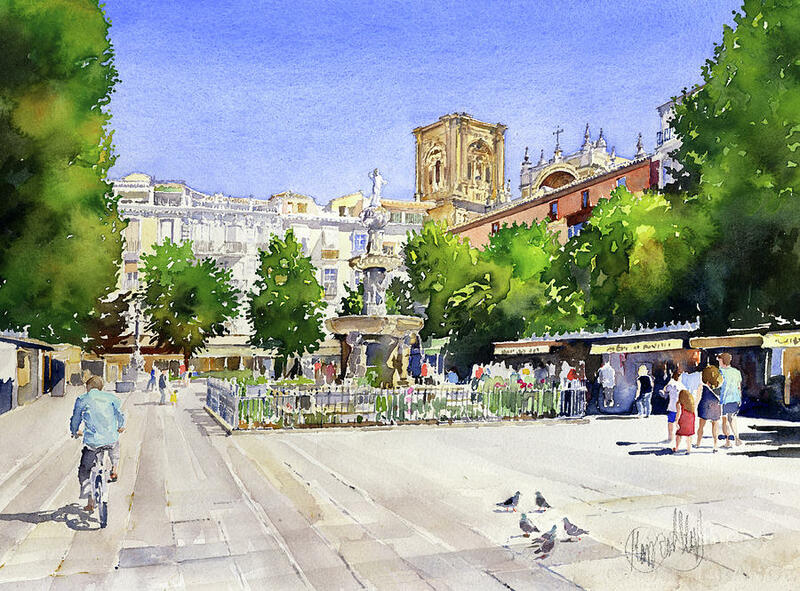 It is a lined with cafe�s and shops along the sidewalks and is a pretty spot in summer with its leafy lime trees and flowers around the central fountain adding to colour of the visitors strolling around.